Is Your Ex Girlfriend In A Rebound Relationship? Let’s Find Out! Do you know what a rebound relationship is? Seriously, that is the official definition according to a divorce support website I stumbled across. So, if we are to look at this definition then that means that a rebound relationship can only occur if the person was in a very serious or super loving relationship first. For example, if your ex girlfriend was deeply in love with you and the two of you dated for something like 3 years then the next relationship your ex girlfriend gets into is a rebound relationship right? Well, it doesn’t work exactly like that. Take it from someone who has dealt with a lot of women who have told him their stories of how they were feeling when they went on the rebound. There is a lot more going on behind the scenes to dictate if a woman is going on the rebound or not. You see, women are complicated and so are relationships by definition. And if your ex girlfriend is drawn into a rebound relationship, then there may very well be a number of reasons that cause that to happen. Now what exactly makes your ex girlfriend tick and causes her to gravitate to some other guy can be a bit tricky to diagnose. So let’s dive into the deeper side of this question. Why Is My Ex Girlfriend Determined to Strike Deep Into My Heart? So you are probably wondering why some other guy is chasing your woman down and she is falling for it. He may be pulling out all the stops, bring her flowers and trying all the romantic angles. Why is she on track to screw things up even more.? Is it something you did to her recently that incentivizes your ex to try and strike an arrow through your heart? Is that what is going on in her mind? Or could it be your ex girlfriend’s desire to get some payback and hurt you to the core? Could it be the memory of you and all those wonderful times you both use to enjoy that makes her ache for a connection with someone that can help her find those kind of feelings she treasures so much? Has her anger grown so much that she now hates you and wants you to suffer for the pain you put her through? If such was the case (and one can’t rule out this possibility), then it would seem emotions have overtaken her. But let’s not be too quick to jump to conclusions because may experience in coaching men and women on matters pertaining to their rebound episodes is that it is rarely just one thing that leads to your special girl giving it up to another guy. So you say to yourself, what if the love of my life has actually fallen out of love with me? Could that have actually happened? Is my ex girlfriend so fickle with how she spreads her love that she can easily just drop or suspend her feelings for me and bounce right on over to some other guy she meets. Is it that easy for women to drop their boyfriend, then pour their heart into another guy? Gosh, for your sake, I sure hope that is not what is happening here! And if you think it is, then let me tell you that particular occurrence is actually a pretty rare event. Women and for that matter men as well, don’t just simply hopscotch their way from guy to guy, leaving one love behind and spreading their love to the next man. Your ex girlfriend is not like a bumble bee buzzing from one flower to the next. This certainly is not the definition of a typical rebound relationship. Not even close. You see, love has a magnetic pull on all of us. When your ex invests a good amount of time in being with you, loving you, experiencing life’s pleasures with you; that does not simply evaporate. Even after the breakup, the love she has for you, while she may not be fully connected to it at times, is still resonating in her heart. It is better to understand this phenomenon of a rebound relationship when you frame it in terms of physical needs and psychological catalysts meet up with certain circumstances. When I speak of circumstances I am referring to things like your ex girlfriend possibly being in an especially vulnerable state and then meets up with someone by happenstance. Maybe an old boyfriend comes back into the future. Maybe your ex’s friends set her up with some other guy and there is a spark that leads to an attraction and then somehow they are in bed making love. 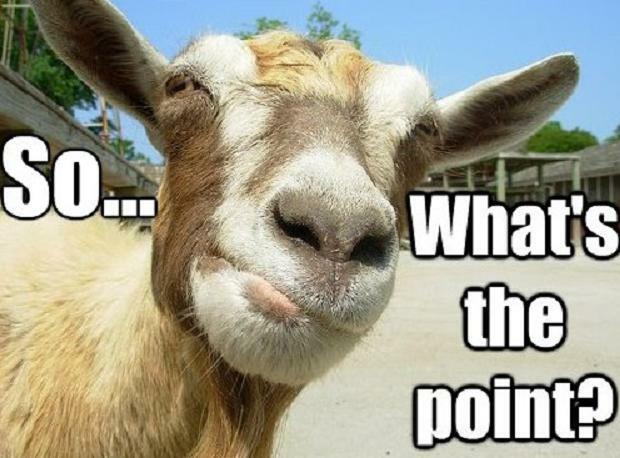 Hey, never mind that making love stuff….we don’t want to think that way right now. I won’t do you any good. So, yes, things are far more involved than most realize. Possibly, you may think to yourself that the trigger of your particular lady’s behavior is a reaction to her body aching for companionship. And to be honest with you, one should not rule out the possibility of their woman jumping quickly to be with another man due to an imbalance or deficit of certain hormones. For clarity sake, this is not some kind of unusual condition. Indeed, it is a natural way in which men and women react after a breakup. It doesn’t happen most of the time, but it sure is not unusual. It is true that when we are in love, our brains are flooded with a cocktail of chemical and when a breakup occurs, guess what happens inside your girlfriend’s brain? At first stress hormones come out to play. Then she experiences a deficit in hormones like dopamine and oxytocin which are in short those feel good chemicals that are produced to make her feel pleasure and closeness and all the rest of those wonderful feelings she use to have with you. But you are not there anymore. That good part of the relationship is missing and she may be looking to replace it with a substitute. Never mind it may be a terrible idea in the long run. It happens. So as you see, this whole business of a woman rebounding is full of complexity driven by both the individual circumstances of the breakup, her feelings about you and the future that you might be able to offer her, as well as the raging chemical bath her brain might be experiencing. So when you ponder such questions of what drove her to this madness and whether your ex girlfriend will come back to you after a rebound relationship, things can get confusing. Let me give you a sampling of what I have heard from men and women in the past about their particular rebound situation so you can be assured you are not alone. What is going on with your girl is not some strange affliction. It is far more commonplace than people realize. And I know you have a ton of questions and thoughts running through your mind. In fact, it might feel like you are going a little bit crazy knowing she is out there with some fricken guy. Chris, does an ex rebound relationship no contact strategy work for my woman. She just quit us and now has taken up with an old boyfriend. I’m telling you, this guy is crap for her. Then she tells me he is not the only one. Yep, all the classic rebound relationship signs happening here. Emotions, crazy needs, stupid drunken nights around bars and guys. Hey there Man, I got to know if I have a chance with her. I think she is seeing some guy. Does a rebound relationship last? I am not even sure if she is in one. Do you have some kind of ex in a rebound relationship quiz. I need to take it and see if its worth trying to get her back. I am not sure if I want her if she has been with another. This whole thing is crap. She runs out on me and goes back to her earlier boyfriend. I don’t know if this is a bounce or whatever you call it or she never thought we were going anywhere. So at the top of this article, I gave you the traditional definition. As you can see, it really is lacking and I don’t think most of the stuff you read out there, that only skims the surface on this subject, will help much. In other words, what I am trying to get at here is that you shouldn’t use the “official” definition my peers are peddling out there when it comes to rebound relationships. I think we need to take a deeper dive into this whole business of guys and gals and what goes on after the breakup! There are a lot of factors that go into making up a rebound relationship. What I am going to do for you is discuss all the factors that go into them so you can hopefully apply them to your own situation and determine if your ex girlfriend is in a rebound relationship. Now, I am assuming you are reading this page because your ex girlfriend just entered into a new relationship with someone else and you are trying to determine whether or not that new person is being used as a rebound by her. If you are then you definitely came to the right place. I do want to state that this guide isn’t meant to help outline the steps that it will take to get your ex girlfriend back. If you want that then I suggest you take a look at my book, Ex Girlfriend Recovery PRO. 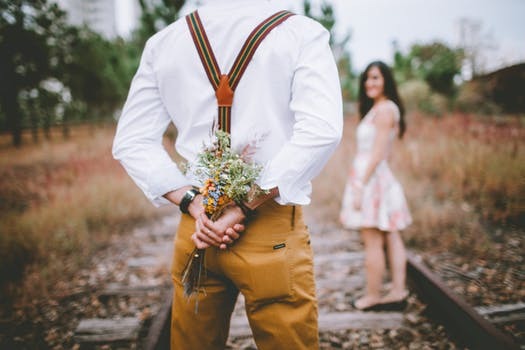 Rather, this guide is meant to help you determine whether or not your ex girlfriend has indeed entered into a rebound relationship with her new guy. A Proven System That Allowed You to Attract Any Woman You Wanted (Including Your Ex). Lets get to the meat of this page. In my opinion there are three main factors that go into a rebound relationship. What I would like to do is talk about each of these three factors in depth. However, before I really dive into that I would like to talk a little about the purpose of a rebound relationship. What Is The Purpose Of A Rebound Relationship? What is she trying to accomplish by this? Actually she is trying to accomplish a lot. Women are extremely emotional creatures and sometimes they get a bit of the grass is greener syndrome. Basically this is a syndrome where a woman believes she can do better than her current boyfriend (you.) So, when they enter a new relationship with someone who they think may potentially be better than you they are going to expect him to be able to take away all the pain they experienced with you. For example, if you cheated on your ex girlfriend (not saying you did) then she may be looking for her new boyfriend to take some of her pain away. Of course, women, being the complex creatures they are, won’t stop there with rebound relationships. They can also use rebound relationships to serve as a major distraction from facing the pain of getting over a relationship. Now, most men may scoff at this and think it’s dumb but have you ever truly tried getting over someone you have loved more than anything? You are here because you want your ex girlfriend back more than anything. You are having trouble facing the pain too. So, what a woman who is in a rebound relationship may be doing is using the rebound to prevent her from facing the pain that follows a breakup. It’s a nice little distraction that will make her feel good for a little bit but ultimately she will realize that she can’t hide forever. This sparks an interesting question. Can A Rebound Ever Turn Into Something More Serious? I am not into living in a fantasy world where I tell you everything you want to hear. No, I am just going to tell you like it is. The truth is that some rebound relationships can last. I have encountered situations where the re-bounder has actually married the rebound and found a lot of happiness with them. Of course, you do have to remember that this is a rare occurrence. In my professional opinion most rebound relationships don’t last. In fact, if you were to push me for statistics, off the top of my head I would say that 80% of rebounds don’t last and 20% do last. Ok, know that you know a bit more about rebound relationships lets take a look at what goes into making them. I have found that there are three major ingredients that go into making a rebound relationship. In this section I plan on exploring each and every one of those ingredients. Now, you may be wondering why these ingredients are important. The truth is that these ingredients are everything when it comes to deciphering whether or not your ex girlfriend is in a rebound relationship with her new boyfriend. Now, the strength of these three qualities are going to have a direct correlation to the strength of the rebound relationship. How can I put this in a way that you will understand. Ok, if your ex girlfriend has all the “rebound signs” that I am going to point out to you with these three qualities then the chances of her being in a rebound relationship will be likely. Of course, on the flip side if your ex girlfriend doesn’t show many of the “rebound signs” within these three qualities in her next relationship then the chances of her being in a rebound relationship will be lowered. This may be a little complicated so if there was ever a time where I required your undivided attention it would be now. What we know so far is that there are three major ingredients that go into making a rebound relationship. Of course, it’s not as simple as just looking at those ingredients and determining whether or not your ex girlfriend has them. No, unfortunately you are going to be required to look a lot deeper within the ingredients. 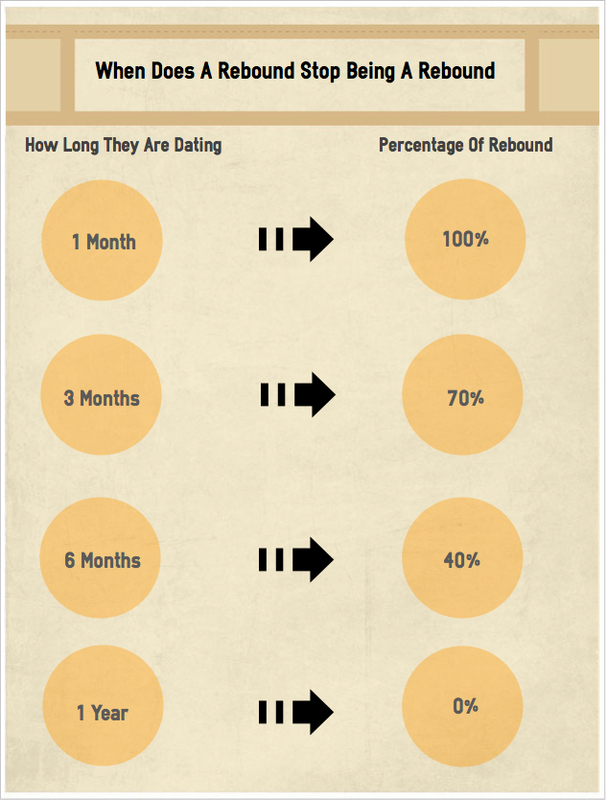 “Rebound Signs” – Signs that are indicative of someone who is on the rebound. 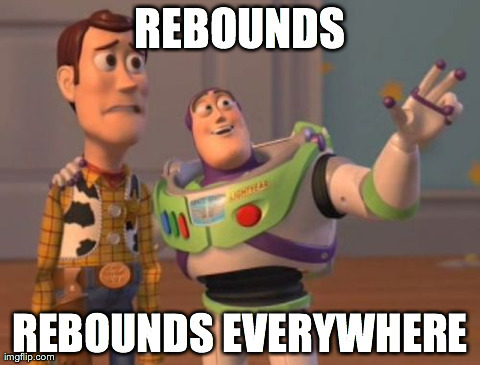 “Non-Rebound Signs”- Signs that are indicative of someone who is NOT on the rebound. I feel it is important for you to understand both sides of the coin so you can know what to look out for. In the sections that follow, the ones where I talk about the ingredients of a rebound relationship, I intend to write to two areas. In other words, in the section below this one entitled, Your Past Relationship With Her, I am going to be pointing out the rebound signs that go with it and the non rebound signs that go with it. Ok, enough of that. I mean, this is getting ridiculous. Lets just get to the good stuff! Lets jump into a quick little role play here. Lets pretend that version A was the model boyfriend. I mean, this version of you did absolutely everything right. You were sweet, romantic, good in bed and had a lot going for you. Version B on the other hand was another story entirely. Lets pretend that this version of you was a horrible boyfriend. You did absolutely everything wrong. You were mean, constantly argued, cheated and pretty much did a hatchet job on your relationship with your ex girlfriend. Now, here is my question to you. Out of these two versions of yourself which one do you think your ex is more likely to miss? My money is on Version A. A rebound relationship in my mind usually refers to a relationship that isn’t going to last. It’s a distraction to prevents you from facing your true feelings. Of course, I have noticed that an interesting phenomenon occurs in rebound relationships. A comparison will get made. Look, eventually your ex girlfriend is going to start comparing the new guy to you and whoever wins this comparison is most likely going to win her heart. For example, lets say you were Version B of yourself in your relationship with your ex and her new boyfriend (the guy you are hoping is a rebound) is more like Version A. Well, chances are pretty high that he is going to win the comparison contest over you. This would ultimately lower your chances of him being a rebound. In my opinion, this is probably the ingredient with the easiest rebound/non rebound signs. So, what is the major rebound sign to look out for here? Simple, in order to look towards the future on whether or not your ex girlfriends new man is a rebound we must first look to the past. 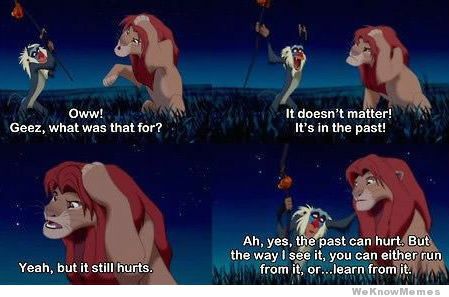 Your past more specifically. How did you treat your ex girlfriend during your relationship with her? Were you good to her? Did you fight her a lot? My point with this is pretty simple. If you were the definition of a good boyfriend then you are probably going to win that comparison contest versus the new guy and raise your chances of her thinking she is on the rebound. I have made one things pretty clear with this ingredient. At some point of her new relationship with her new boyfriend she is going to do a comparison to see how he stacks up against her past. Lets think about this from her perspective if you were a really bad boyfriend to her. You are your ex girlfriend and you are looking to fall madly in love with the man of your dreams. 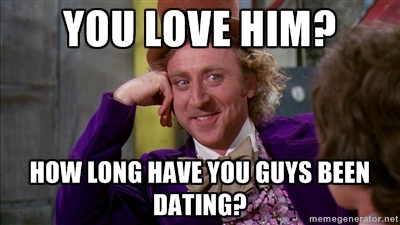 You just started dating a new guy and he is treating you incredibly well. However, experience has taught you that there is such a thing as a honeymoon period so you wait a little bit before you knight him as prince charming. As time goes on the new boyfriend is still treating you incredibly well. So well in fact that he puts all your other boyfriends to shame. The comparison between you and the new guy was just made and you lost. Thus, her chances of going back to you and labeling that new guy a rebound are lowered. What is the general perception of a rebound relationship? Well, when I just generally think of a rebound relationship I think of someone who just got out of a relationship, moves on to someone else really fast and then ends that relationship shortly thereafter. Notice that I bolded a phrase in the statement above. One thing is abundantly clear when it comes to your ex girlfriend rebounding, she is going to move on very quickly to someone new. 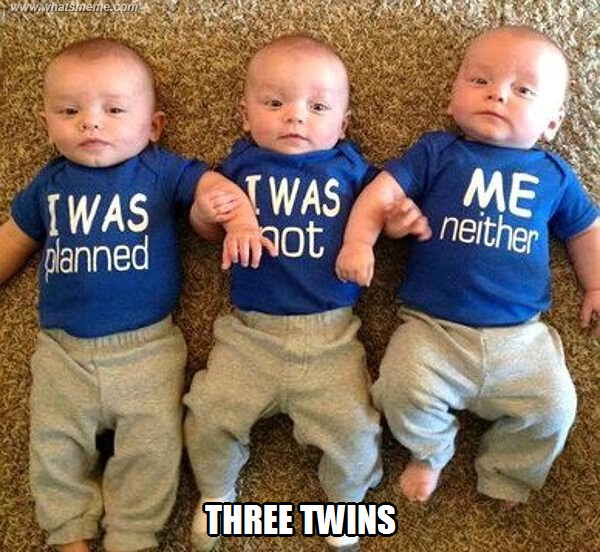 Heck, in some cases she may have already lined up a prospect while the two of you were dating. Thus, when you are trying to determine if your ex girlfriend is in a rebound relationship you really have to take a look at how fast she moved on to her new relationship. If your ex girlfriend moved on very quickly after her relationship with you then you can take that as a rebound sign. Well, that depends on a lot of factors. For example, if you dated your ex girlfriend for 5 years then her moving on in two months may be considered quick. As a general rule, the longer your relationship with her the more time it will take her to move on. If you can’t quite figure out how this table works then allow me to explain. The numbers on the left show how long you have dated her for and the numbers on the right are indicative of how long it will take her to move on. So, lets take the very first number on the left, 1 month. If you only dated your ex girlfriend for one month then it is probably only going to take her 2 weeks to move on from you. So, to put this table in action you have to use some basic math skills. 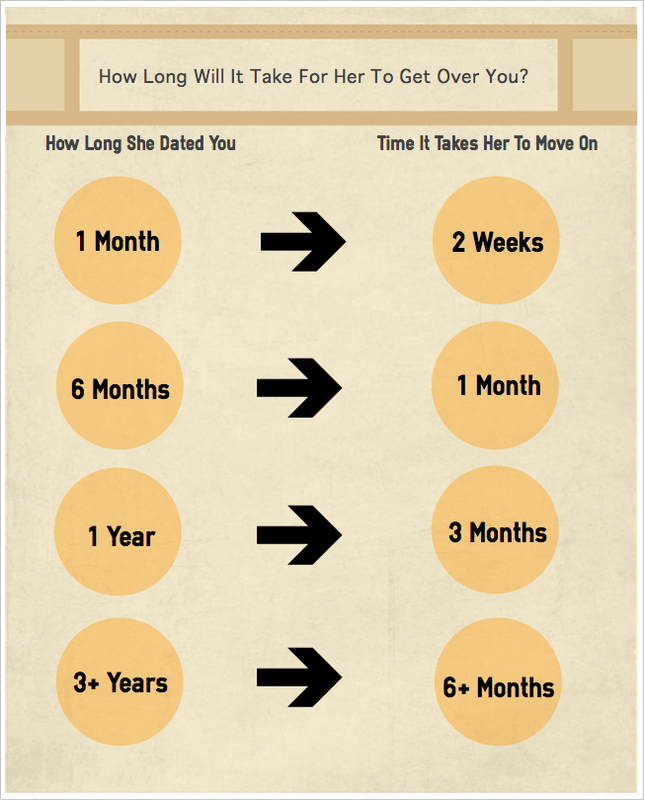 Basically you need to determine how long you have dated your ex girlfriend for and how fast it took her to move on. For example, if you dated your ex girlfriend for over a year and she moved on in 3 weeks then that would be an action that is common for someone who went on the rebound. Because, it usually takes women three months to properly get over a relationship that is that long. Like I mentioned above, women can’t just jump from relationship to relationship. Sure, there are some exemptions to that rule but generally speaking your ex girlfriend isn’t going to be built that way. So, what does this mean? Well, it means that in order for them to truly move on from you a certain amount of time has to pass. Lets take another example from the table graphic I created above. Lets pretend that your ex girlfriend dated you for 3 years and she moved on to someone else an entire year later. Well, if you look at the graphic above you will notice that it should only take her six months to get over you. So, her moving on a year later would not be indicative of someone who is going on the rebound since enough time has passed for her to properly heal. This final ingredient is an important one to grasp so make sure I have your undivided attention here. Your ex girlfriend breaks up with you and immediately moves on to someone new. Now, you being the incredibly intelligent person you are kind of cheer on the inside for a bit because as you just learned, an ex who moves on fast is typically in a rebound relationship. Unfortunately, as time slowly ticks on your ex girlfriend and her new boyfriend don’t break up. In fact, all signs are pointing to the fact that they are stronger than ever. What does it mean if your ex girlfriend starts dating a rebound candidate and they end up together long term? Well, I am sorry to break it to you but if your ex girlfriend dates her new boyfriend for a long time then he is no longer a rebound. Don’t let this graph confuse you because really it’s not that confusing. Basically, it shows that the longer a rebound candidate dates your ex girlfriend the lower his chances become of him actually being a rebound. For example, if your ex girlfriend moved on immediately after you to someone new and they only lasted a month then there was a 100% chance that, that particular guy was a rebound to her. Of course, on the flip side if your ex girlfriend has been dating her “rebound” for an entire year then that relationship has moved far from rebound territory and has set up shop in serious relationship territory. Again, I would like to reference the chart I made above. Notice that the longer that your ex girlfriend dates her rebound the less percentage of a rebound he becomes and usually after month six of them dating they begin to get more serious. So, I would have to say that the rebound sign that goes along with this particular ingredient has to be that if your ex girlfriend hasn’t been dating her new guy very long then there is a high probability that she views him as a rebound relationship deep down. Of course, the longer she dates him the more likely he is to become a non rebound. If your ex girlfriend has been dating her new boyfriend for quite some time (7+ months) then the chances are very low that the new guy is going to be considered a rebound by her. I am really sorry to break it to you but this is just the way it works in a relationship. The longer she dates him the more you start to fade away and the more she begins to view him as her night and shining armor. So, make sure that you understand this if you are going to attempt to get her back. OK, so you ought to have a better idea how to navigate the troubled waters of a breakup if your ex girlfriend has decided to get pulled into a rebound kind of relationship. But we are here to try and help in all kinds of ways. So if you have some questions about your unique situation or observations that might be of help to others, then please weigh in via the Comment Section below.